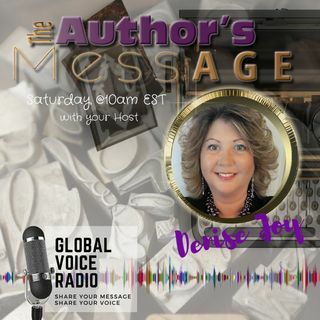 Denise Joy Thompson, co-host of The Author's Message, welcomes LeaAnn Fuller to discuss her upcoming book, Saved By Grace: Opening Doors for Wounded Women Walking. This anthology is written by women who have addictions and received support/treatment through Exodus House. LeaAnn discussed the work she has done with the women of Exodus House and how writing their stories to share with other women, and men, helped them in dealing with their own problems. LeaAnn is a Women’s ... See More Transformational and Fuller Life Coach, Amazon #1 International Best-Selling Author, Motivational Speaker, and Radio Show Host. She is the founder of Fuller Life, LLC where she travels empowering women to get out of their own way to transform their life, find their greatness, and to live their Fuller Life. She empowers them to find clarity about what it is they want, why they want it, and what is standing in their way so that they can quit living small and begin living their Fuller Life. LeaAnn is also the founder of Adopt-A-Mom for Christmas, in memory of her mother, that has been able to give back to hundreds of moms in need over the holidays. She in planning on turning this program into a year-round movement to support single and struggling moms year-round. She is also the Program Director for WBOC, The Premier Organization for Women in Business in CNY.